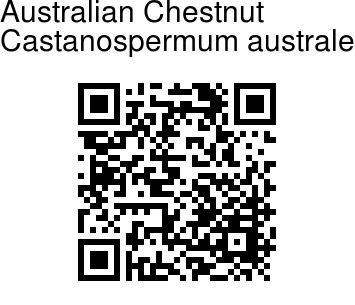 Native to Australia, as the name indicates, Australian Chestnut is a large evergreen tree growing to 40 m tall, though it may be found much smaller. Leaves are 15 X 6-7 cm , pinnate, with 11-15 leaflets. 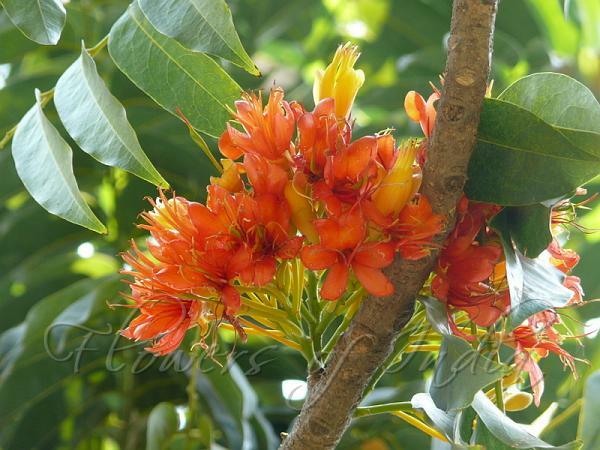 The flowers are red and yellow, 3-4 cm long, borne in racemes 6 cm long. The fruit is a cylindrical pod 12-20 cm long and 4-6 cm diameter. The fruit is divided into 3-5 cells, each of which contains a large chestnut-like seed. Identification credit: Prashant Awale Photographed in Maharashtra & Bangalore.